These two days had been so busy for me in the studio, not even a simgle moment of rest to write a update. 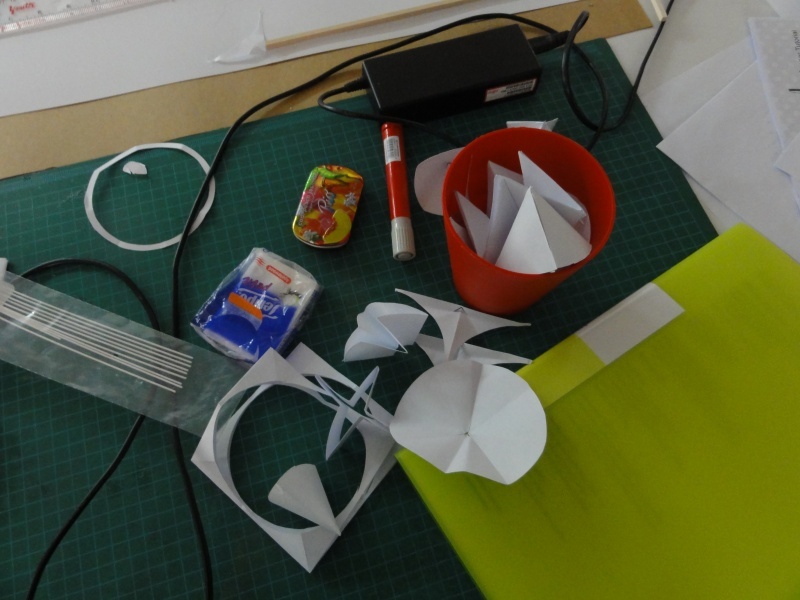 Yesterday we have keep teaching and learning Grasshopper as a tool to realise their design, where most of them have come to a point where they are more or less familiar with what GH can do for them, and what they will need to use to achieve a specific task. 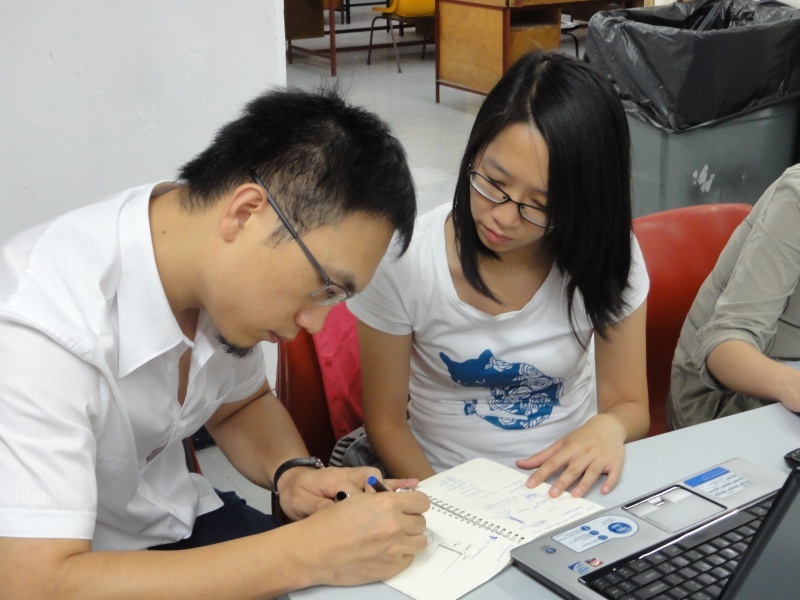 While design studio is pushing for more vigorous testing and prototype, teachers began to discuss with participants about their projects, and eventually offer help on the scripts. We insist on explaining the algorithm step-by-step instead of the “Do it for you” manner, where we hope students to understand the thinking process that will lead to the solution. 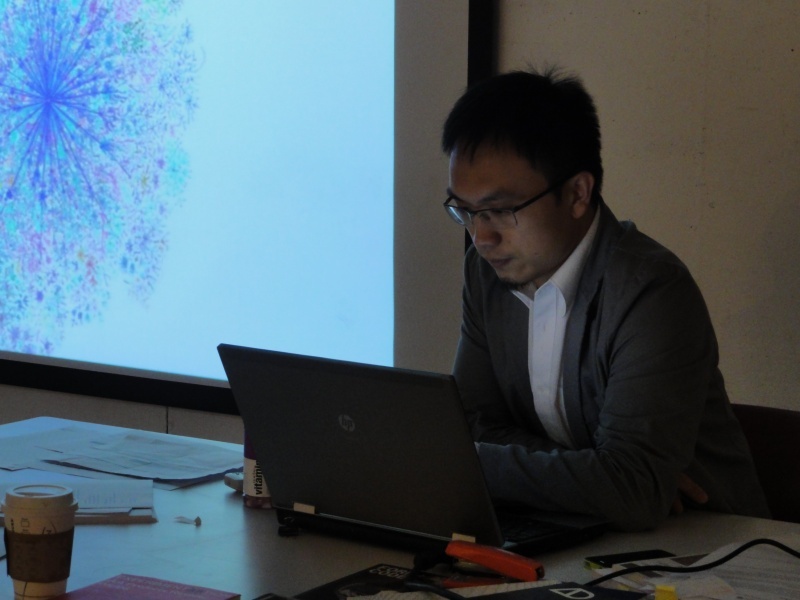 Last night Gao Yan gave us a lecture about philosophies of education particularly in the field of architecture. 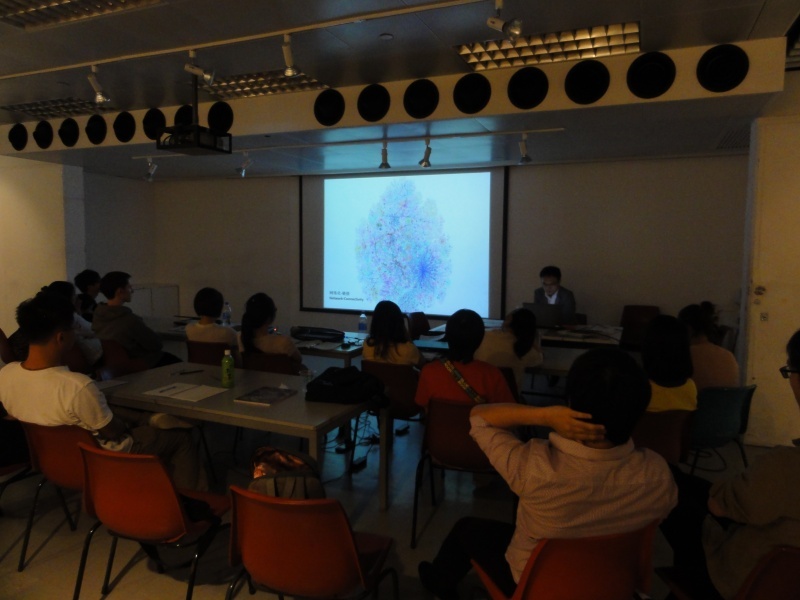 He also showed his recent projects and shared the thinking process in behind. He also shared his views on computational design and experimental approaches, ending with more questions than answers in his usual way. Perhaps it should be considered successful for the teachers to convey the message that they should work harder for their own good. 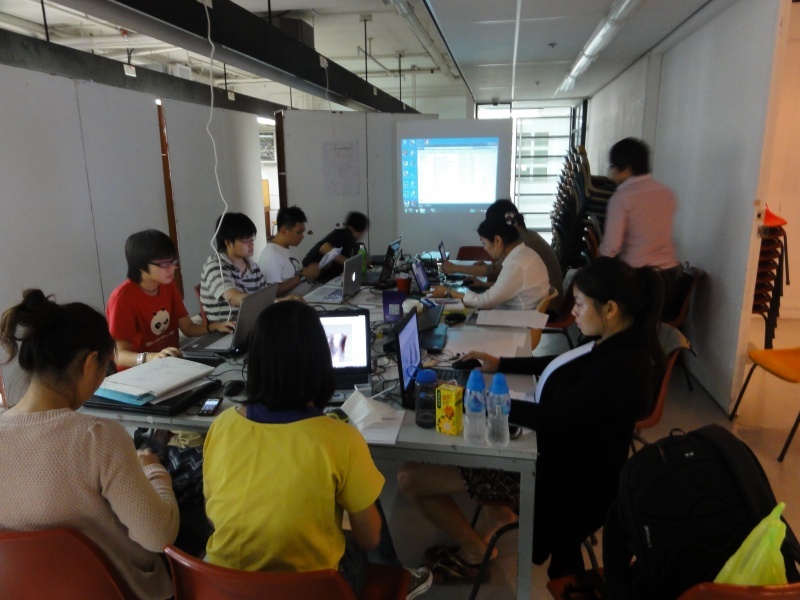 It seems that the studio atmosphere start to emerge with students staying as late as 1am. 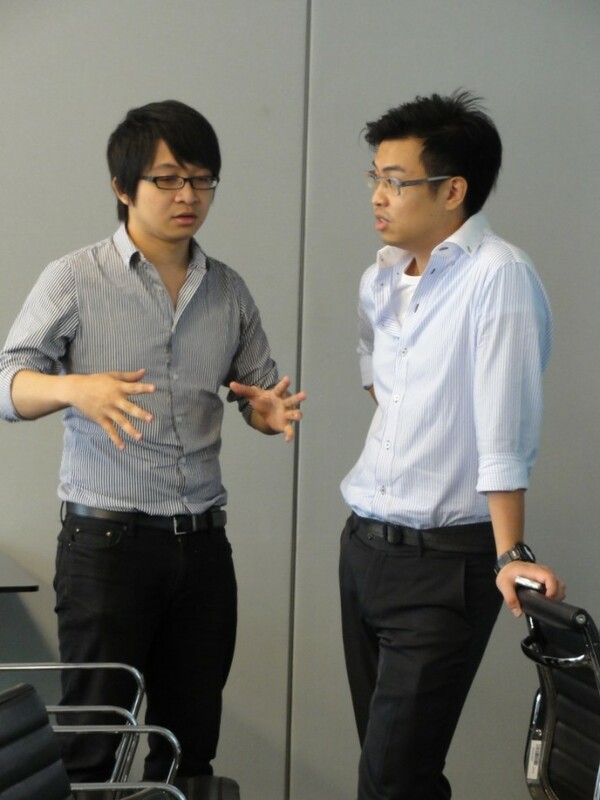 It get me quite excited to stay with them and offer some technical help when needed. The speech I have repeated most to the students are “How to debug the problem by yourself?”, which is a technique I believe vital to their future career of tools learning and software experiments. Not limited to grasshopper or other programming/scripting software, but also applicable on other problems one might face. I always remind myself that this two weeks are most likely to be the only time they will have guidance from teachers like us. 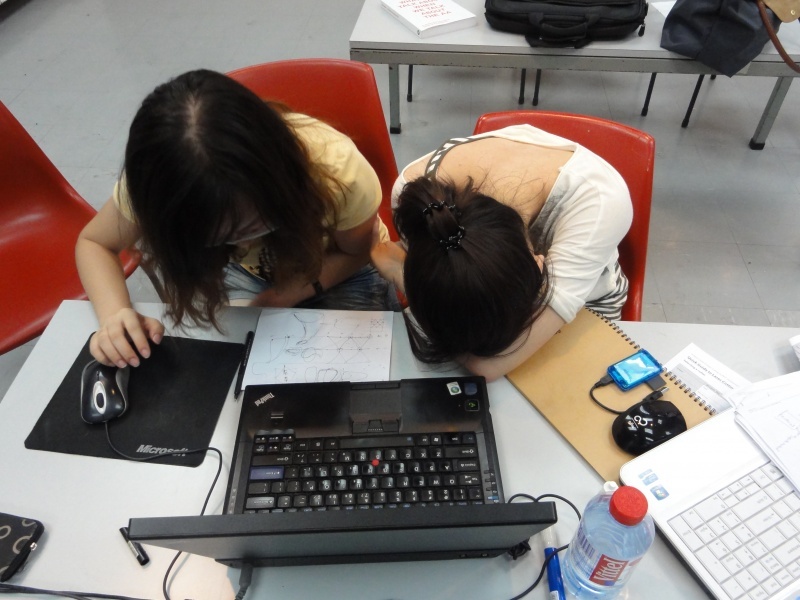 While the students come to learn with interest in the process or the product of computational design, we should try our best not to decrease their interest after this two weeks. Even some students may find the challenge difficult to over come, and the choice is ultimately theirs, I still want them to get something useful out of this committed time. 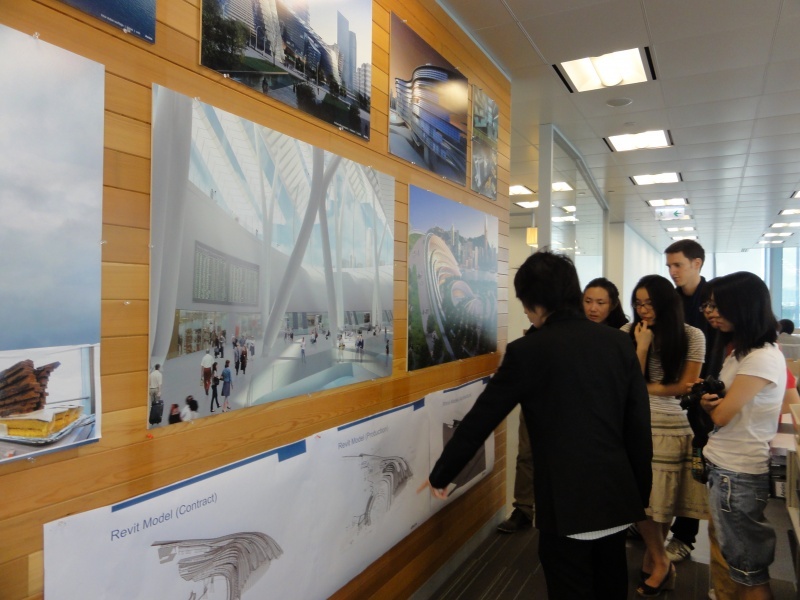 The 4th day (Thursday) morning, we have organised a office visit to Aedas. Thanks to their generous support, which also sent us teaching staff and lecturers, we are able to provide superior teaching quality to the participants. 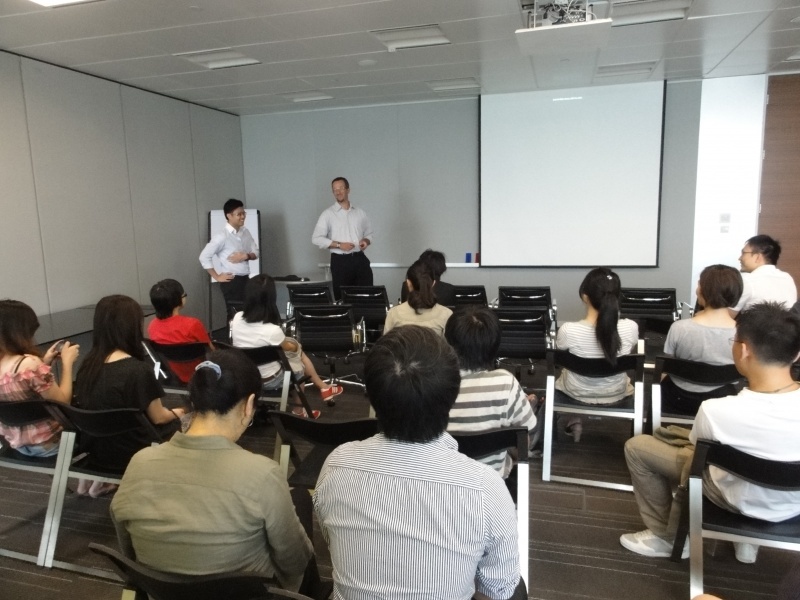 Their director Mark Pollard gave us a warm welcome and an introduction about the Aedas group in Hong Kong. We have walked around their three level office space in the One Island East Tower and saw their equipment in the workshop. 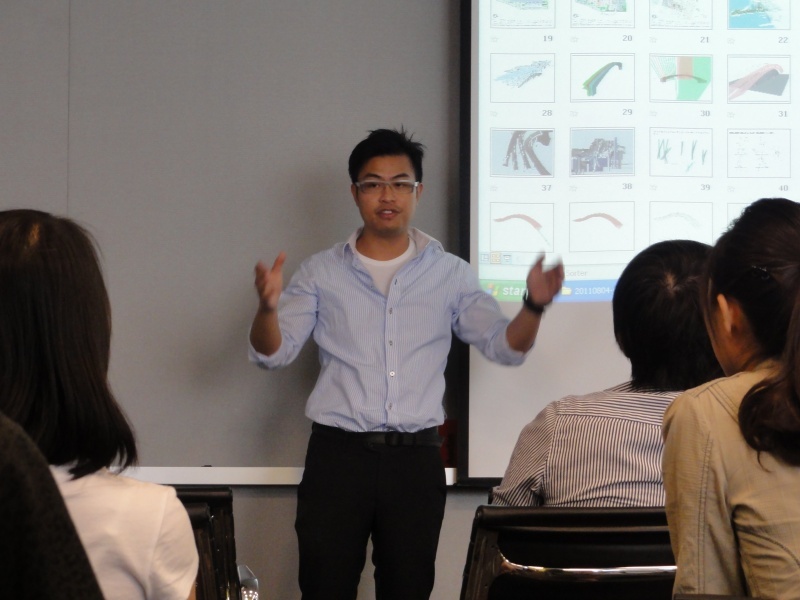 Paul Mui, their associate, also one of our teachers, shared with us the projects he had done in Aedas including the West Kowloon Terminal that is designed and rationalized with the help of Grasshopper. 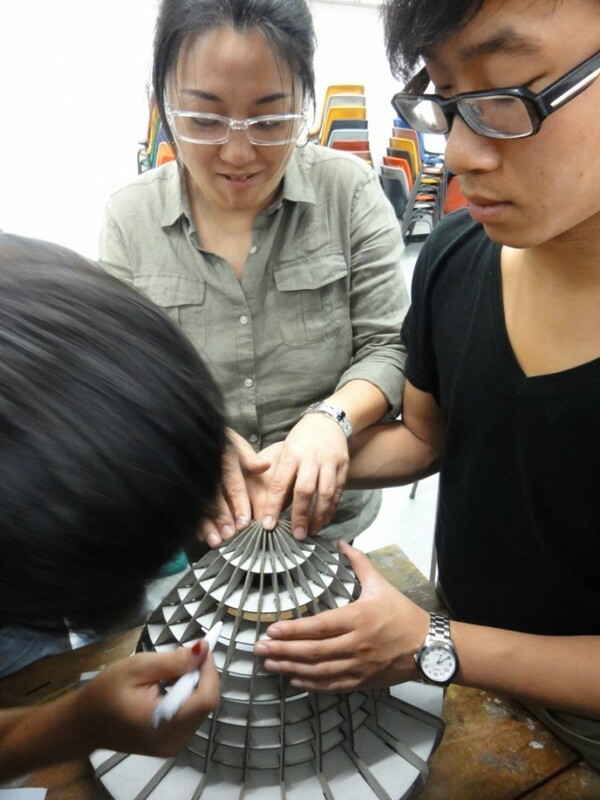 Today we have started the first round of laser cutting, and many groups have advanced their ideas into physical prototypes that is realized by Grasshopper. 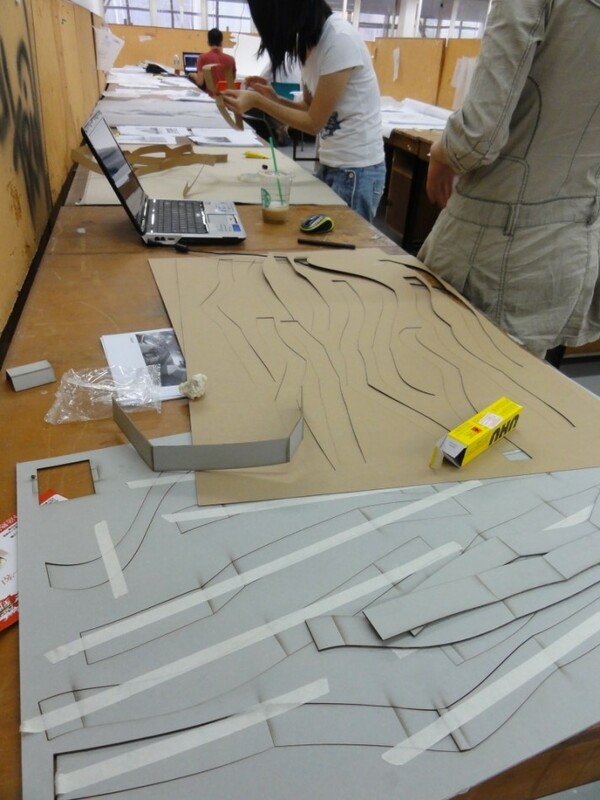 Some of the groups have their prototypes cut and assembled, ready to take their design to the next stage.